The biggest passive money managers all like to use some version of the word “engage” when describing how they hold their portfolio companies accountable behind the scenes. They differ on how that engagement is measured. 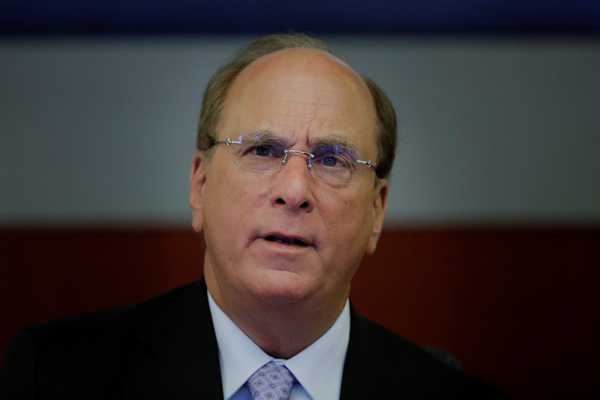 BlackRock Chief Executive Laurence Fink cited the strategy this week in his annual letter to other CEOs. He used the words “engage” or “engagement” 15 times to describe how BlackRock would be more assertive with the companies in which it invests while ensuring they make the right decisions over time for long-term shareholders. BlackRock had 1,603 “engagements” with companies in which it invests during 2017. That is more than the 954 engagements counted by rival Vanguard Group and 676 from State Street Corp.’s money management unit last year. How those engagements are defined and disclosed varies from firm to firm, making it difficult to assess how aggressively these big U.S. shareholders are wielding their growing clout. For Vanguard and State Street each phone call or meeting counts as an “engagement”. State Street typically also sends hundreds of letters to its portfolio companies that it also classifies as “engagements,” though they aren’t included in the firm’s count of 676 engagements. The three managers collectively oversee more than $13 trillion in assets, bigger than the size of China’s economy, the world’s second-largest. They have ramped up efforts to interact with their portfolio companies as their assets and stakes in major companies have swelled. Those three firms owned 18.5% of the S&P 500 at the end of the third quarter, up from 14.7% five years earlier, according to research by Lazard Ltd.
BlackRock, Vanguard and State Street say they prefer not to use their heft to make immediate demands such as putting a specific individual on the board or divesting business units, in contrast to more aggressive dictates from activist investors. Instead they say they like to work behind the scenes and talk with their portfolio companies routinely about their policies and plans. BlackRock, for example, plans to write to about 300 companies in the Russell 1000 that have fewer than two women on the board to ask them to disclose their approach to boardroom and employee diversity, BlackRock governance head Michelle Edkins said Thursday at a Santa Clara University event in California. The firm plans to ask them to set a time frame in which they will improve their diversity. State Street also pressed its portfolio companies to improve their boardroom diversity in 2017. BlackRock has more staff dedicated to these discussions and other investment stewardship tasks than Vanguard or State Street. It plans to double that group to 60 in the next three years. “The growth of indexing demands that we now take this function to a new level,” Mr. Fink said of shareholder engagement in his annual letter earlier this week. Unlike traditional stock pickers, index funds managers can’t sell a stock if they are disappointed by a company’s performance or disagree with its strategy. They do, however, have other ways they can express their opinions beyond engagement. All use shareholder votes to oppose or support the appointment of board members or management resolutions as well as proposals from fellow shareholders. What they decide is increasingly determining the outcome of these shareholder votes. The support of BlackRock and Vanguard, for example, helped a shareholder proposal pass in 2017 at Exxon Mobil Corp.’s annual meeting that called for the company to share more information about how climate change and regulations could affect its operations. At times, the three big passive owners come to differing conclusions. Vanguard, Procter & Gamble Co.’s biggest shareholder, sided with management in the company’s battle last year with Nelson Peltz, the Journal reported, while BlackRock and State Street voted with Mr. Peltz’s Trian Fund Management. Mr. Peltz narrowly won a seat on the board.